Jason’s leg was broken when he was hit by a car while trying to buy corn from the woman by the road side. He’s in his 30s and has not saved enough. His bill at the hospital took a whole chunk of his savings. Coming out from the hospital, he was left with just N150,000 in his account. The sad part, he couldn’t work anymore to sustain himself. After two months, he was left at the mercy of his family – to take care of him. Life is a risk: breathing, going out in the morning. Anything can happen at any time and when you are not stable enough to withstand the cruel ups and downs of life, you will fall. And may be swallowed up by the ground. Planning is essential and that is why insurance is important. Many Nigerians do not insure their cars until accidents occur. When the car gets damaged, they shake their heads in regret – for their loss. Some do not also insure their homes against fire or burglary until it happens. Accidents can and do happen. That is why they are called accidents. If you are not amply insured, it might leave you financially incapacitated. You need to protect yourself. Your ability to work and earn income to keep living and building is what makes insurance critical. Being insured is basically managing risk. You simply transfer the cost of potential loss to the insurance company. Insurance helps you protect your home, your car; helps you maintain your standard of living. In case you become critically ill or even disabled, or in death, it provides for your family. It covers your health care costs. Working through life to build wealth, insurance is needed to protect your possessions, income and cater for your family in the case of untimely death. A few examples are health insurance, property/car insurance, life insurance, etc. Ask yourself, can I survive without a pay cheque? For all earners, a fundamental risk management strategy is getting a permanent disability insurance. Your most precious asset is your ability to earn money. So, questions about how you will survive if you are disabled today is pertinent. For a sound financial plan, life insurance is necessary. It is even more important if you have dependants, as they are covered should you suddenly drop dead. It is hard for a family to bear the loss of their bread winner, but it is even harder when they have no source of income to cater for them. For many, a house is the greatest asset. Insuring it, in case of accident, disaster, fire or burglary is always a wise decision. There is also a renters insurance which insures the property in a house against burglary, fire, etc. It basically covers the replacement costs. Planning is essential and that is why insurance is important. Your ability to work and earn income to keep living, is what makes insurance critical. 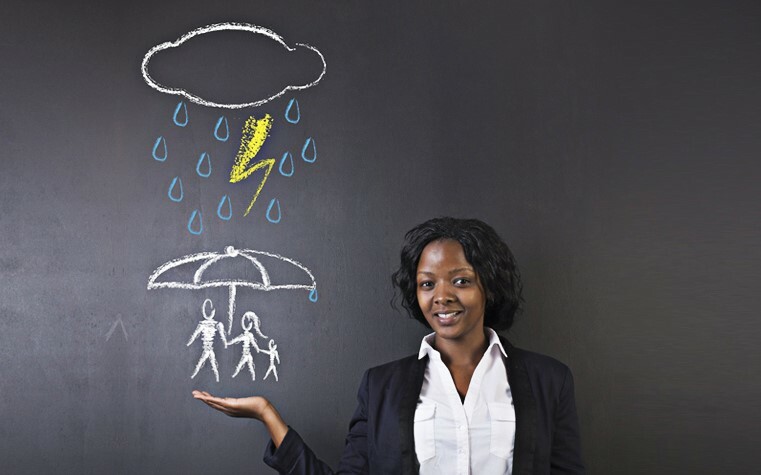 A fundamental risk management strategy is getting a permanent disability insurance. For a sound financial plan, life insurance is necessary. Insuring your house, and household equipment against fire and burglary to cover replacement costs. Positive thinking may not save you from calamity happening to your business. For example, if you come to work one morning and find that all your computers had been stolen, or damaged by fire, how do you recover from that? It is important that you make the decision to be secured against unforeseen circumstances. Is Budget Padding Impoverishing Nigerians ?